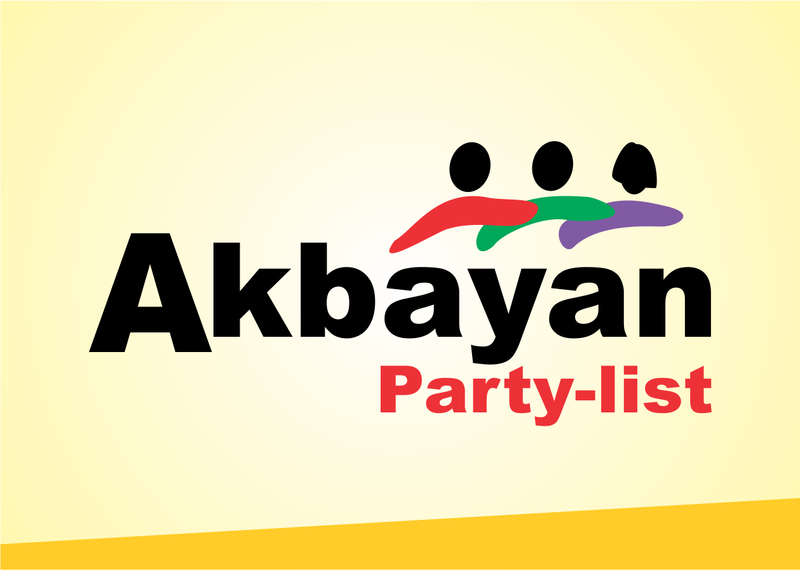 Akbayan Partylist lauds Safe Spaces bill in House: "Time is up for catcallers"
Akbayan Partylist lauds the House of Representatives (HOR) for unanimously passing the Safe Spaces bill which seeks to penalize gender-based harassment in public places on third and final reading on Monday. "The time is up for catcallers. Once this will be signed into law, the Safe Spaces bill will provide protection for our family members from sexual harassers in public places," Akbayan partylist spokesperson Gio Tingson said. The Safe Spaces bill, principally authored by Akbayan Rep. Tom Villarin, will go through the bicameral conference as the Senate passed its counterpart bill on October 2018. "Women and LGBT+ advocates took action to shepherd this bill through both chambers. This is our solution to stop the alarming cases of our sisters and our children being harassed in the streets," Tingson said. Mr. Speaker, I rise on a personal and collective privilege. Last January 8, 2019, Hanjin Heavy Industries and Construction Philippines, a South Korean shipbuilding company based in Subic port, Zambales, filed for bankruptcy leaving some US$412-M in outstanding loans with local banks in limbo. This also places some 22,000 workers and their jobs in peril as well as loses to the local economy. A report claimed that the Rizal Commercial Banking Corp. (RCBC), the state-owned Land Bank of the Philippines, Metropolitan Bank & Trust Co. (Metrobank), Bank of the Philippine Islands (BPI), and BDO Unibank, Inc. are now working together to cover their combined loan exposure to the Korean conglomerate. These banks are among the top 10 banks in the country and the biggest lenders to business. Despite the Banko Sentral ng Pilipinas (BSP)’s pronouncement that its impact in the banking system is negligible, stock prices of three of the listed banks fell in the wake of the news. Shares at RCBC suffered the steepest blow as it dropped by 9.12% on Friday, while Metrobank and BPI stock prices went down by 4.82% and 4.76%, respectively. BDO shares, though steadied from the initial shock, have the least exposure among the Hanjin lenders. The lenders are said to be working to take control of Hanjin’s property in Zambales, with assets estimated at $1.6 billion. 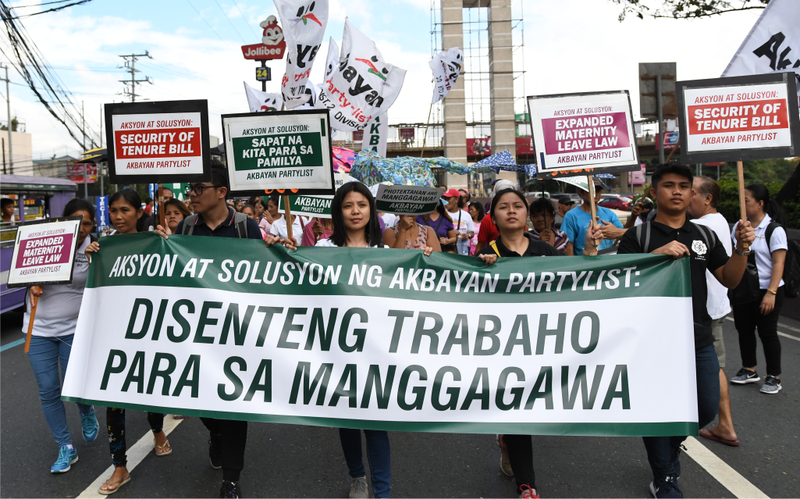 On Bonifacio Day, workers and Akbayan members raised their worn out umbrellas filled with holes symbolizing the dismal state of workers’ welfare in the Philippines plagued with low wages, no security of tenure, and a short maternity leave for working mothers. “Each problem represents a hole in the protection of Filipino workers. Until these holes are patched up and fixed, our workers will remain highly vulnerable to economic risk,” said Machris Cabreros, President of Akbayan. 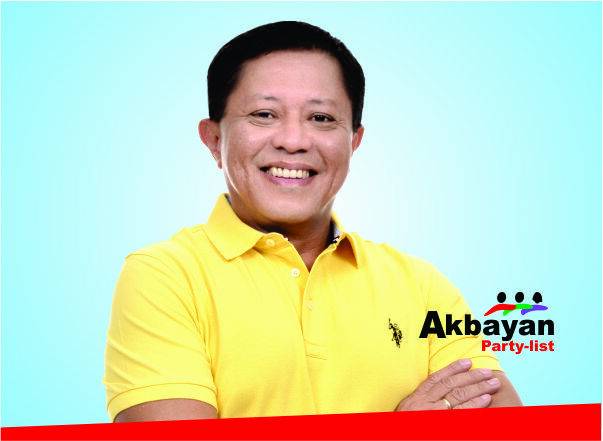 It can be recalled that Akbayan Partylist has pushed for the passage of three bills to shield workers from various health and economic risks, such as high inflation plaguing the whole country for months now, and is perceived to have caused additional burden to an already struggling working class. These are the Expanded Maternity Leave Bill that is now awaiting the President’s signature; the Security of Tenure or Anti-ENDO Bill that was already passed in the lower House; and most recently the bill abolishing all 17 regional wage boards and replacing them with just one wage-fixing body to set a decent and acceptable minimum wage nationwide. “All Filipino workers are getting impatient in waiting for these concerns to be resolved and for those bills to get passed. 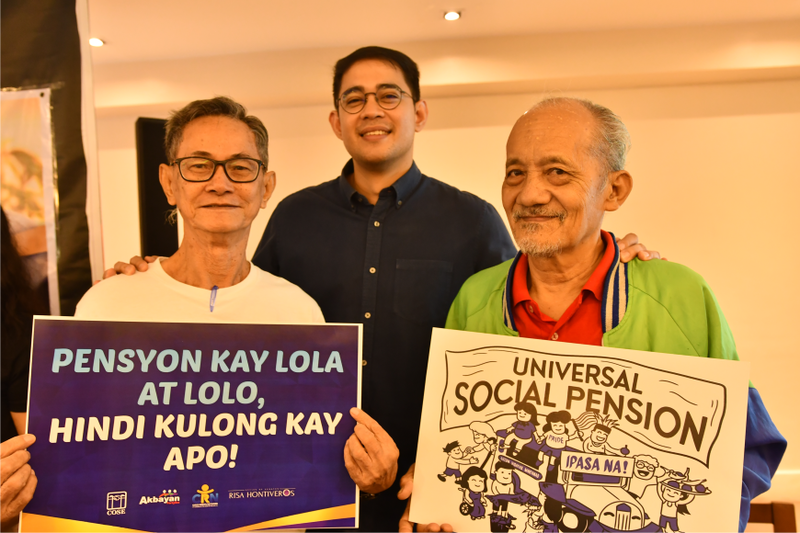 Unless the maternity leave is expanded, labor-only contracting is stopped, and decent wages are provided, our workers’ welfare will always be festered with holes,” Cabreros added. Justice prevailed for the drug war victims today. 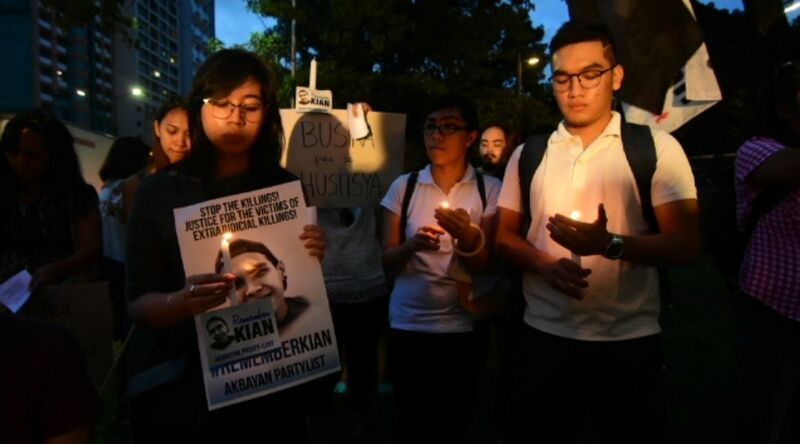 Akbayan Partylist is celebrating the guilty verdict handed to the three Caloocan policemen who murdered 17 year old Kian delos Santos in 2017. This is the first conviction of murderous cops under President Duterte's War on Drugs but this shouldn't be the last. We remember that President Duterte once took the side of these murderous cops and maligned Kian delos Santos in his death.The public needs to be watchful over other cases filed in court by victims of extrajudicial killings against the Philippine National Police. We fervently hope that this decision will fuel the momentum for justice for the victims.